Micro cache near the Woodhouse Salvation Army. 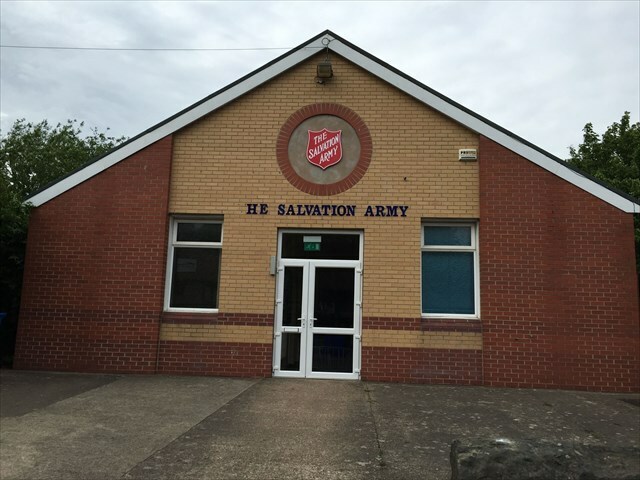 The Salvation Army, founded by William Booth in 1865, was formed for social work in the community. It has a military-based organisation and is well known for its brass bands. The Woodhouse corps opened in 1885 as an outpost for the Sheffield Citadel. They moved to the current premises in 1926. The coordinates are to the church, not the location of the cache. The cache is a micro container close to the church, but not on church grounds. High stealth is required as it's a high muggle area. To find the coordinates, answer the questions below. The information can be found on the church's notice board.